In December 2016 we bought the most recent Whirlpool 6th Sense refrigerator combi from CrossCraft Malta (EU). The fridge is making blubbering and popping noises from day one, whenever the door is opened and or shortly after closing it. The noise is lasting anything from 15 seconds to 60 seconds. The volume is so high that we can hear the noise one floor up in our house. According to CrossCraft Malta this is however perfectly normal for modern anti-frost fridges. Not that I ever experienced another fridge (old or new) making these noises though, even other models of 6th Sense series do not make such noises (experienced a 60cm unit in Belgium in an AirBNB rented house). About 3-4 month ago we ordered some spare parts as a plastic fixation pin on one of the freezer drawers broke (very fragile construction). Until today (17/11/2017) we have not gotten any call that the parts (total cost Euro 15) arrived. When I called, the answer was that Whirlpool has the items not in stock and cannot deliver. 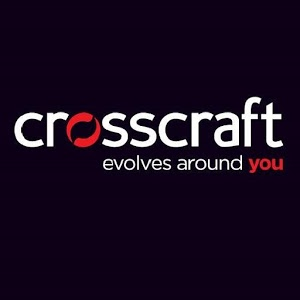 Besides the fact that CrossCraft Malta did not bother to give us a call to inform us, it is hard to believe that Whirlpool does not have spare parts from its most recent and modern refrigerator series in production/stock.